You can view the streetcar(Toden) operation status on a simplified route map. Search for information about a specific streetcar(Toden). Find a Toei route by specifying where you want to get on and off the streetcar or train. Click here for Toei Bus Real-Time Information Service. Explains how to use this site. Describes cautions when using this site. 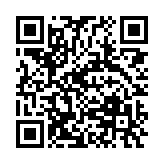 Send this address to your mobile phone so you can search Toei Streetcar(Toden) information anytime, anywhere! Copyright© 2012 Bureau of Transportation. Tokyo Metropolitan Government. All Rights Reserved.